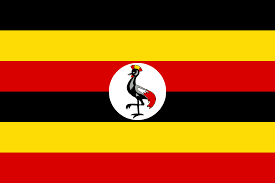 The Republic of Uganda is a landlocked country in East Africa. Consisting of population over 35 million (2015). Gambling is under regulated in the country. In the fiscal year 2013-14, the government generated 11 billion shillings in form of tax from the gambling sector (approx $3 million). Lately national lotteries and Gaming Regulatory Board of Uganda have stated that Ugandans spend 150 billion shillings (approx $44 million) annually on gambling. Lottery and sports betting are the most favoured form of gambling, due to low Internet penetration rate most of the bets are placed through land-based retails. Although lottery is a state monopoly in Uganda but international online platforms are also available to place the bet. The Uganda National Lottery was formed in 2004. Before 2004 the players had been through rough time, with lot of scams happening in lotteries. The reputaion of lotteries stooped so low that government had to intervene. Since 2004 lottery has made a drastic progress in the country. Government took a strict initiative by banning all the illegal and unethical lotteries. Started its own, to replenish the lottery and restoring the faith among the country-men. The National Lottery has various channels available to bet, via online, USSD and agents. The Uganda National Lottery is run by Mena Sports Consulting Uganda Limited. Licensed by the Ministry of Finance, Planning and Economic Development to exclusively offer Lotteries in the country. Billion Lotto is the latest game offered and its a core lottery product. There are 12 casinos in the Uganda, 8 of them situated in the capital city Kampala. Casino is not among crowd favorites and is majorly attracted to the tourists with lavish lifestyle. Uganda has a growing appetite in the world of gambling, specifically lotteries. It is already on the verge of being a huge market in East Africa considering its rate of growth and the government efforts. I am sure Uganda is going to attract lot of people from the gambling industry.